In every marriage there are secrets you should never uncover. Before you get married, do your due diligence! You don’t want to unknowingly marry an evil criminal, do you? Two can keep a secret… if one of them is dead. 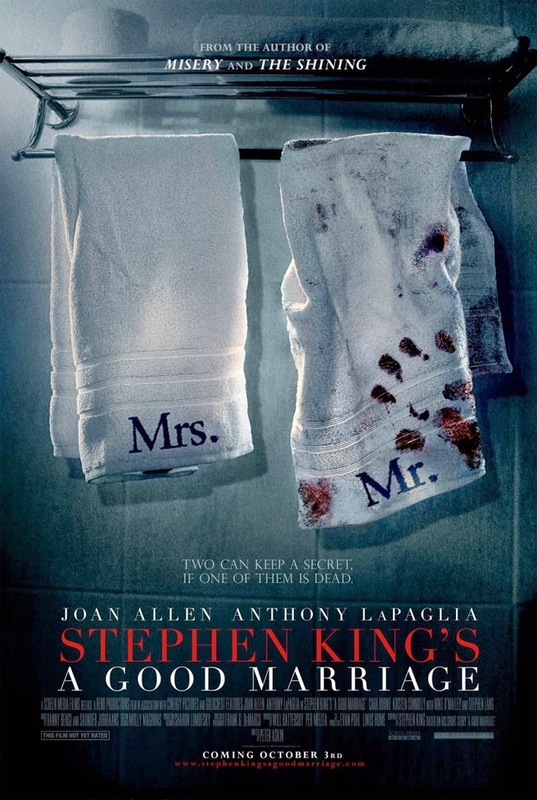 The film is starring Joan Allen, Anthony LaPaglia, Kristen Connolly, Stephen Lang, Mike O’Malley, Cara Buono. The release date of A Good Marriage is set to October 3, 2014.